If I've said it before, I've said it a hundred times on this blog - when in doubt, White Weenie is the way to go in Standard Pauper. Back as the Magic 2015 set was being spoiled, I predicted that Triplicate Spirits would be one of the break-out Commons of the set. Surprisingly, I have yet to see much in the way of successful builds using this card or the Convoke mechanic in general. However, from the moment I got to play with this card in the prerelease, I have been trying to run a White Weenie tokens build to success in Monday Pauper Deck Challenge. The basis concept of the deck is to go "wide" rather than "high"; meaning, generate a lot of small creatures rather than trying to build and protect one or two large threats. This proved to be a great way to sidestep removal, as your opponent simply can't afford to trade one-for-one with all of the tokens this deck can generate. Additionally, Nyxborn Shieldmate, Hopeful Eidolon, and Selfless Cathar are practically tokens themselves, with the Cathar also have the ability to play around both Shrivel and the like, which is definitely the biggest threat your opponent can play. Once you've assembled a large number of creatures, all it typically takes is one big swing with Fortify and/or the pump from Selfless Cathar to win you the game. Alternatively, using Ethereal Armor and the Bestow creatures to pump up any of your fliers can also prove to be a viable strategy. 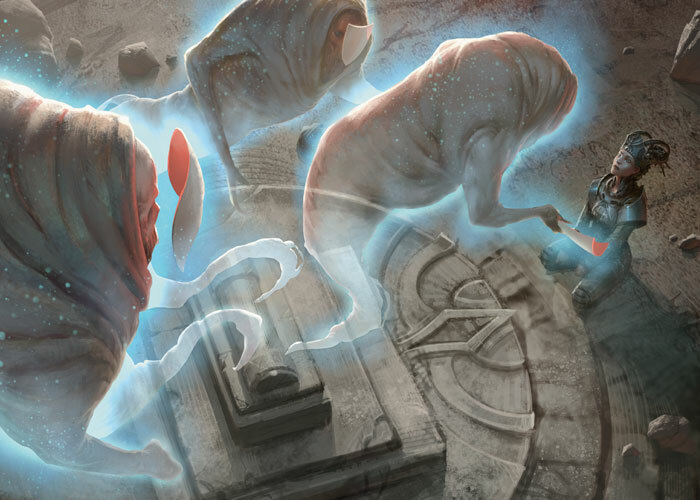 The Sideboard mostly helps against other White or Red decks running powerful Enchantments, but also includes some additional removal, some anti-graveyard recursion, and the ability to lock down big creatures using Court Street Denizen. Given the way the metagame is shaping up, it's hard to have too much Enchantment hate at your disposal. Hope you enjoyed this look at my current White Weenie Tokens deck. Now that you've seen both this list and my Boros Tokens list, which one do you think is stronger, and why? Let me know in the comments below. Finally, it's not too late to get into Chris Baker's "M" Core League. But the window is closing rapidly. Don't miss out!